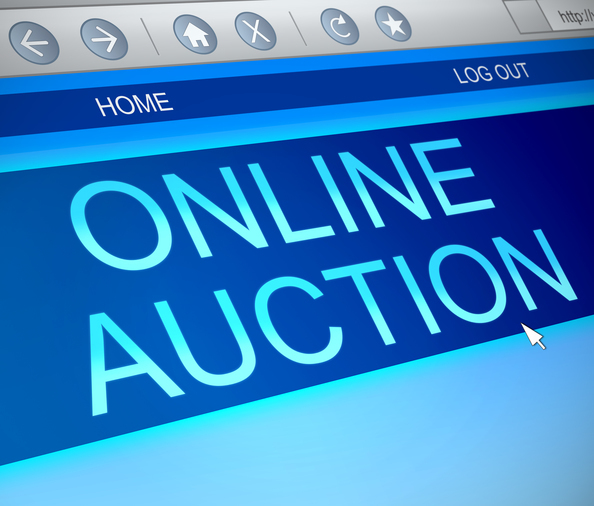 When the Distance Is No Longer an Obstacle: What Are the Advantages and Disadvantages of Online Auctions? While many of us think of auctions as huge warehouses or storage spaces full of junk piled to the ceiling that fanatics and families would visit over the weekend to grab a bargain or to see what’s out there; auctions have changed as much as everything else has thanks to the digital boom. Nowadays, online auctions are extremely popular, especially since the rise and boom of trading platforms such as eBay. Now, instead of being restricted to your local area, you can bid on items all over the world with bidders from an equal number of diverse locations. However, as with everything in life, there are some pros and cons, some advantages and disadvantages to an auction online and today, we’re going to explore both sides of the fence. One of the greatest benefits of shopping online is the fact that you can realistically display an infinite amount of information about each product. Instead of having to wander around trying to find someone who might not know about the product; everything is listed in front of you straight away. Unlike having to wait and visit during the set opening hours of a physical auction house, you can shop online any time of day, any day of the week, any week of the year, all from the comfort of your own home. Since auctioneers are not required for organizing the auctions, the sellers and the buyers have far more freedom with how they communicate, how they want to sell the items and how the entire process pans out. This is a lot more convenient than traditional forms of auction. Since the online auction will typically have fewer overheads to pay than your traditional auction house, this allows sellers to make their items a lot cheaper and more affordable, ensuring buyers have a much better deal and more choice. A seller is going to want the best price for their items understandably, but this can mean an auction can run up to 30 days, plus processing time, plus delivery time. All in all, this can leave buyers waiting a long time for their items. Since you do not necessarily see the item you’re buying before you pay for it, the chances of getting ripped off with a dodgy item are far higher than if you were shopping in a physical auction house. Since both the seller and the buyer can remain anonymous throughout the trading and selling process, this can lead to complications such as false bidding and administration problems while dealing with payments, especially when it comes to organizing payment and delivery. As with anything in life, there are plenty of advantages and disadvantages to using an online auction. The best thing to do is to remember to shop around for a safe and secure platform, and always keep your wits about you while protecting yourself from a scam. This can then guarantee the best online auctioning experience. If something does seem right, or something seems too good to be true, then it probably is.